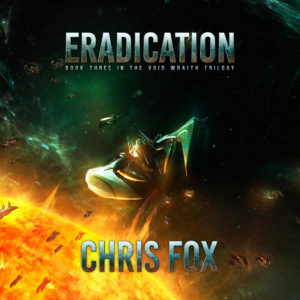 Book 3 in the Void Wraith Trilogy is now available on Audible. The Eradication has finally begun, and there is little hope of victory. Mankind’s fleets are devastated. Their Tigris allies have lost their homeworld, and only a few Primo survive. They need allies, but few are left to be had. Fizgig sets out to persuade the notoriously hostile Jaguara Pride to join the war. Dryker fights a running retreat, losing on every front while the Eye pushes slowly toward Earth. Their only hope is Captain Nolan, leading his squad in a quest to find the legendary Birthplace. There, if ancient Primo myths are right, they will find the vessel known as the Forge. But they are not the only ones seeking it, and if the Void Wraith get there first then all hope is gone.